In the heart of downtown Omaha, you can find an unbelievable historical apartment building perfect for you with the Old Market just outside your door. 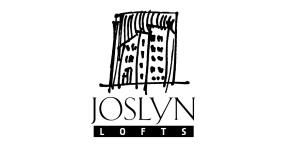 Joslyn Lofts offers an exciting lifestyle with sensational proximity to fun. With the Eppley Airfield, Midtown Crossing, and Creighton University nearby, our accessible location offers complete convenience. Within the community, you'll find a variety of amazing floor plans that include modern appliances, European style kitchens, and balconies with great views of the downtown skyline. We're also pet friendly, because we know how much fun furry friends can be. You won't want to miss out on this new, urban experience. Want to know more about us? Call us today or browse our site to see what we have available.